Sometimes the reason is out of your control, however, sometimes it’s not. If your betta has died suddenly then make sure you read this article to make sure you don’t make the same mistake again! 2 Why Did My Betta Fish Die So Suddenly? If you’re in a hurry then here are the most common reasons. You didn’t acclimatize your betta. Changing out too much water. Aquarium setup doesn’t suit your betta. Poor water conditions (ammonia poisoning). The tank isn’t big enough. Harrassed by other tank mates. Jumped out of the water. Why Did My Betta Fish Die So Suddenly? If you’re not in a hurry then you should familiarise yourself with the most common causes of betta death. While you think your betta may have died suddenly, in fact, he could have been dying over a period of time without you realizing. 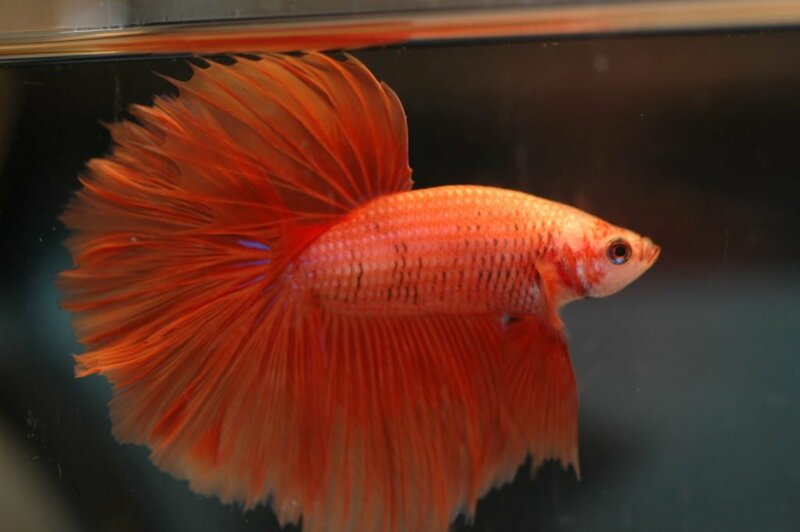 Unfortunately, if you’re a beginner to betta keeping than a lot of misinformation could have caused you to make a mistake. Here are the most common mistakes beginner betta keepers make. If you haven’t treated your tap water with dechlorinator before you added it to your tank, then you’re hanging out a death sentence for your betta, and any other living creature. Chlorine in water is designed to kill any bacteria making it safe to drink. However, it also kills bettas as well as any beneficial bacteria in your tank and your bettas tank mates! Fortunately, dechlorinator is extremely cheap, and once you’ve bought some it’s going to last for a long time. API Stress Coat is the best dechlorinator on the market. Not only is it a dechlorinator but it also has aloe vera extract in it, which reduces your bettas stress levels. Another common mistake people make is not acclimatizing their betta. If you don’t give your betta time to acclimatize to the pH and temperature of his new tank then the subsequent shock to his system can often become fatal. To acclimatize your betta you should open the bag he’s been transported in and float it in the water. Once it’s been floating for about 10-15 minutes, you should add some of your aquarium water. Keep doing this every 10 minutes for 45 minutes to an hour. This will give your betta plenty of time to adapt to the new parameters, and he won’t die suddenly because of them. This is one of the biggest beginner mistakes and the one that also caused my betta to die as well. Normally you think when you add water and dechlorinator to your tank that it’s ready to go and you can’t start adding fish in. And don’t get me wrong this is possible. However, it’s a lot more hard on your betta. Either way your tank needs time to cycle. This is when beneficial bacteria grows in the tank feeding on all the waste such as ammonia and nitrates that are going to poison your betta. If you do a fishless cycle, then you typically have to leave the tank for 4-6 weeks for the bacteria to grow to healthy levels. You can speed this up by adding API Quick Start. Quick Start contains the bacteria your tank needs to flourish in high doses. However, you can also cycle the tank with your betta inside. Once again you’ll have to add API quick start for a few days before adding your betta. If you do plan on doing this though you’ll need to check the parameters of your water every day, especially the ammonia, nitrite, and nitrate levels. As well as checking the parameters you’ll also need to perform regular water changes, often daily or every two days. And lastly, you should also buy an ammonia detoxifier like API AMMO-LOCK for any spikes that could kill your betta. Ammonia detoxifier doesn’t remove ammonia but rather it makes it safe in your tank. This way the beneficial bacteria in your tank can still use it to grow. Even though your betta always looks hungry believe it or not, they can be overfed. Unfortunately, they will keep eating past the point of being full. This can often cause your betta to become constipated or suffer from swim bladder disease. 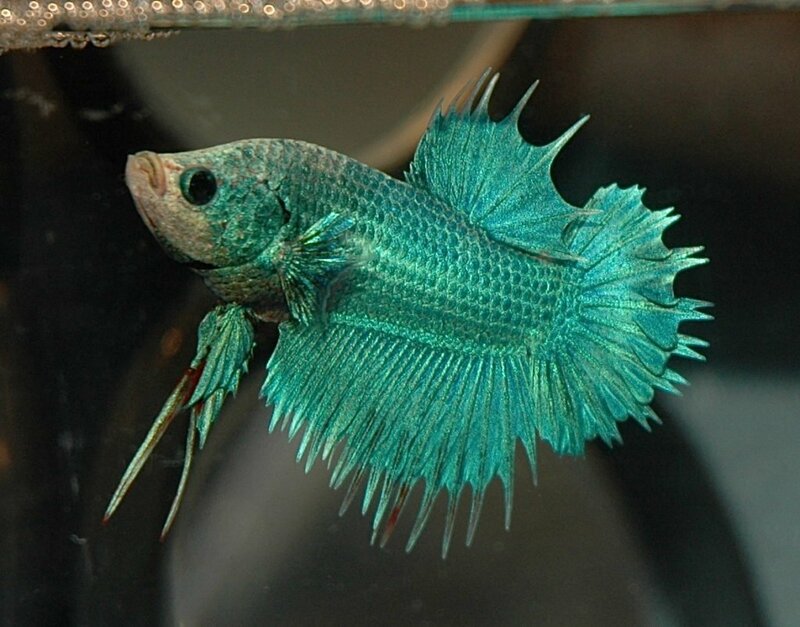 You may be thinking that this won’t kill your betta suddenly and you would have noticed the signs. Well, that’s not all that’s going to happen. Any food that isn’t eaten is going to rot in the tank causing a build-up of ammonia which could spike, resulting in ammonia poisoning and death. Ammonia poisoning can occur rapidly, and in some cases kill your betta within hours. If you’re wondering how much you should feed your betta, then, as a rule, you want to feed him for no more than 2 minutes at a time, twice a day. Remember, his stomach is no bigger than his eye. One of the most common misconceptions is that bettas like goldfish don’t need a heater for their tank. And in most cases, this is not true. Afterall bettas are tropical fish and need a temperature between 76-82°F to survive. If you don’t have a heater the chances are that the temperature in your bettas tank will fluctuate and fall below 76°F. Fluctuations and sudden drops in temperature often result in temperature shock which can become fatal quickly. Even if you think your house is always warm enough, it only takes one temperature fluctuation outside of the tank to change the temperature inside drastically. Especially in small tanks. If you have a betta tank and no heater than you should buy one ASAP. Here are the best heaters for 5-gallon tanks. Once again, there’s a common misconception that bettas don’t need a filter either. In fact, there is a little bit of truth behind this. If you perform 100% water changes regularly then you could avoid using a filter. However, this would still stress your betta out massively. Bettas need filters to clean the water in their tank making it hospitable and removing any ammonia in the water. Without a filter, the water can quickly turn toxic with ammonia and once again result in ammonia poisoning. If you don’t have a filter and your betta died quickly, then ammonia poisoning may be the cause behind it. If you’re not sure what heater to get then here are the best filters for 5-gallon tanks. On the subject of 100% water changes, they can also cause your betta to die suddenly. Just like when you add a new betta to your tank, whenever you perform a 100% water change, your betta needs to acclimatize. The problem is there’s no real way you can get your betta to acclimatize when you perform a water change. Unless you add him to a bag of old tank water beforehand every time. Either way, the constant changing of water is going to stress your betta. That’s why it’s much better to have a filter and perform partial water changes. Are you testing the pH of your tank? 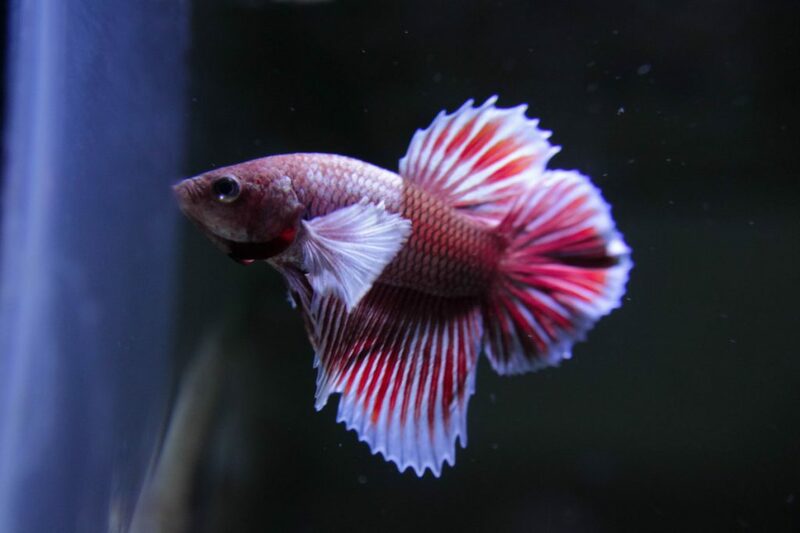 Have you read about what your betta needs to survive? Unfortunately, once again the myth that bettas can pretty much survive in any conditions simply aren’t true. Your betta needs a pH level as close to 7 as possible to survive and plenty of places to hide. If you’re not setting an aquarium up for your betta then you risk him suddenly dying. Especially if the pH is too high or low. If either happens, essentially the water will start burning your betta until he dies. If you haven’t got a test kit then you should buy one immediately. the API Master Test Kit is a great choice. Not only are you going to be able to test the pH level, but you’ll also be able to test the ammonia, nitrites, and nitrates as well. While you should be able to spot a lot of diseases and parasites before they become fatal, some are harder to spot. Tuberculosis, for example, shows no physical symptoms until it’s far too late to save your betta. Even if you keep your tank clean they diseases and parasites can still be introduced to your tank by other means. For example, if you add new plants or fish to your betta tank who are carriers, they could infect your betta. That’s why it’s so important that you buy your fish and plants from a reputable seller. Not only that but you should also make sure that you’re quarantining any new additions to your tank for at least 3 weeks before introducing them. Some people also recommend Paraguard for quarantined fish however it’s up to you whether you decide to use it or not. You already know that you’re going to need a filter in your bettas tank, however, even with a filter the water conditions can still turn bad. Things such as overfeeding your fish and overstocking your tank (adding too many fish) can cause the water conditions in your tank to quickly worsen. While bettas can survive in poor water conditions for a time, it is going to drastically reduce their lifespan. And in some cases, if they get so bad, your betta is likely to die from ammonia poisoning very quickly. You should also be vacuuming the gravel in your tank to remove any rotting debris from the bottom. An overstocked tank isn’t just going to cause poor water conditions. It can contribute to the death of your betta in a variety of ways. First of all, some bettas have a temperament which means they need to be on their own. They’ll constantly assault and be aggressive towards any other tank mates. Not only will this stress out any other fish in your tank, but it will also stress your betta. Secondly, an overstocked tank just isn’t going to have enough space for your betta to swim around. In this is going to stress him out which could result in him dying suddenly. Another problem is that your betta will have trouble breathing. Luckily bettas can breathe from the surface thanks to their labyrinth organ. However, they also breathe in the water as well. When a tank becomes to overstocked there just isn’t going to be enough oxygen in it. Not only could this kill other fish, but it’s also going to stress your betta out. If you search online what size tank a betta should be in. And you get all sorts of conflicting and dangerous advice. Some people say 2.5 gallons, some say 5 gallons, and some people even say 1 gallon. The truth is if you want to avoid your betta dying rapidly you should place him in a tank that’s AT LEAST 5 gallons. However, bigger is always better. A tank that’s too small is going to frustrate your betta, stress him out and even cause him to become depressed. (that’s right bettas can become depressed.) When any of these things happen it’s more likely that your betta will die suddenly. And not only that, the smaller the tank the more likely fluctuations are to happen, and the worse they’ll be. It sounds counterintuitive, but the bigger the tank the easier it is to maintain. Because there’s more water it takes a lot longer for things to go wrong. If you were housing your betta in anything smaller than 5 gallons then you should buy a bigger tank before you get another one. Here are the best 5-gallon tanks you can get for bettas. It’s not just overfeeding that can kill your betta. A poor diet, in general, can quickly become fatal. Bettas are primarily carnivorous. Even if you notice them eating plant matter, they’re not going to be getting the nutrition they need. You should be feeding your betta a mix of live food, frozen food, high-quality pellets, and freeze-dried food. Daphnia is a great choice to feed bettas. However, brine shrimp and mosquito larvae are great choices as well. You can feed them bloodworms every once in a while but they should be limited. And definitely, don’t believe that bettas can survive off eating the roots of plants. This is just a lie, and while it may look nice, your betta will be suffering tremendously. It’s not just your betta that can be aggressive. Other fish in the tank may end up being aggressive towards him as well. Even fish you think are docile such as tetras can be fin nippers. And you should definitely avoid cichlids which will tear your betta apart. If you plan on adding tank mates with your betta you need to do your research and make sure they’re not going to be a danger to him. And even if on paper they won’t be, you should still have contingency plans in place in case something goes wrong. A spare tank or tank divider might be needed if they can’t live together. If you keep your betta with an aggressive tank mate, he may be killed overnight if they’re bigger and badder than he is. Okay, this one is pretty self-explanatory. If your betta jumped out of the tank at some point the chances are he’s going to die fairly quickly. Even if you manage to get him back into the tank, if he’s been out of the water for too long it often becomes fatal. You may have a decoration in your tank which has caused damage to your betta that can result in him dying suddenly. The most common thing to happen is that he can snag himself on something sharp which could quickly become infected. However, if you put something in your tank which can leech chemicals in it, this could cause a betta to die suddenly as well. On top of that, you should never put stones, plants or driftwood that you find outside into your tank. You should only add decorations from pet stores which have been treated, and even then you should wash them thoroughly before adding them. If your betta died shortly after you added a new decoration, then that’s probably the cause. If you’ve recently purchased your betta or if you’ve bought him online then the first few weeks can be a time where he dies rapidly. Unfortunately, long shipping times and constant changes in water parameters can cause a betta immune system to weaken. Sometimes it can help to turn off the lights for the first couple of days you have your betta to reduce his stress levels. And you can also add API Stress Coat to help as well. However, there’s not much you can do if your betta dies suddenly because of this. And sometimes, unfortunately, your betta dying suddenly just happens. You could have been doing everything right, but it was just his time to go. Bettas often spend a portion of their lives in conditions no fish should be in. Small cramped cups with no heating or filtration. Teeming with bacteria and disease. Your betta was lucky enough for you to rescue him from that and give him a good home, and there’s nothing more you could do. Now you should have a good understanding of why betta fish die so suddenly. Hopefully, you’ll have some clarity or realize what you did wrong with your last betta. Now when you buy your next one you can be more prepared and give them a long happy life!